Dawn's Rise: Dawn's Rise II Wordle! 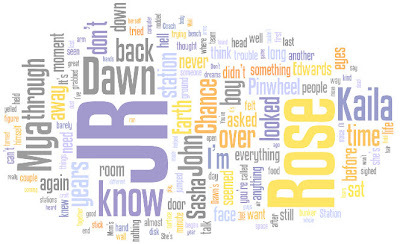 Here's the first 10K of Dawn's Rise as a Wordle. If I stare at that thing much longer, my head is going to explode. I'll take a wild guess that someone is named "Rose."